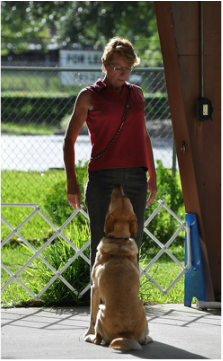 This is for dogs that already have an understanding of Novice level exercises AND display an eagerness to work with their handlers. 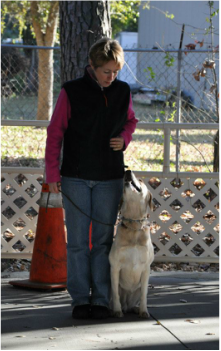 Although the emphasis is on Novice exercises such as heeling and recalls, we also lay foundations for work higher up the competitive ladder (retrieves, jumps, etc.). Many of the skills and foundation exercises are also needed in the Rally ring. 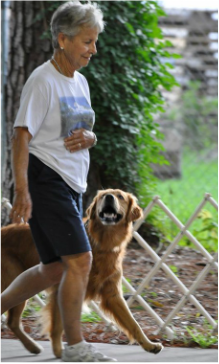 Materials needed: Lots of treats, a flat or martingale collar, 4-6' leash, crate or mat for your dog to relax on between exercises, a perch (info on perches provided at first class). A clicker, if you know to use it, is extremely useful but not required.